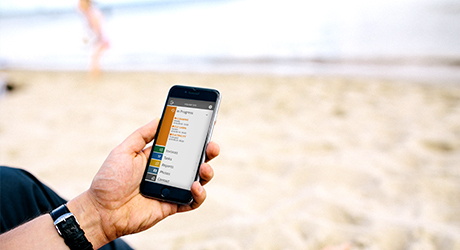 In case you hadn’t already heard, VQuarter is a brand new way of managing your holiday home. Thanks to 21st century technology, this (free to download) app allows you to complete your holiday home ‘to-do’ list at the touch of a button from anywhere in the world. cleaning, gardening and concierge services are just a few of the 60 services to choose and you have access to more than 3000 qualified professionals to carry out these services. ALREADY HAVE A CLEANING COMPANY OR OTHER SERVICES YOU LIKE USING? No problem! We at VQuarter know that finding trustworthy holiday home maintenance and cleaning services isn’t the kind of thing you’d ideally like to go about more than once. After all, you are inviting complete strangers into the most intimate areas of your life. So we understand if you would rather stick with your current services. That’s why VQuarter has introduced a new feature where you are able to connect your existing services with our app. We simply allow you to manage these services more efficiently and all from one place. WHY SHOULD YOU DOWNLOAD VQUARTER TODAY? Whether you want to just connect your existing services with the app or find new services, as we have mentioned before VQuarter empowers you (the home owner) to have more control over your holiday home from anywhere in the world. Mistakes can be made; we are only human after all! However, when you face language barriers and often thousands of miles of distance between you and your holiday home and its service partners, communication (or should we say miscommunication?) can often cause unnecessary problems. This is where VQuarter comes in, because this revolutionary app bridges the distance and allows you and your service partners to communicate clearly, so you can achieve high-quality results time and time again. COULD YOUR SERVICE PARTNERS DELIVER BETTER RESULTS? We get it, it’s hard to tell whether your tasks are being carried out to the elite standards you envisage, because you aren’t there to oversee your cleaning or maintenance services in action. One quick and easy way of determining whether or not your cleaning company is committed to achieving the results you desire, is to see the results for yourself. Through the VQuarter post service reporting system, we give you the next best thing. All service partners can attach images of the work that has been completed for the homeowner to see. You also have the opportunity to view and manage all your invoices and utility bills through the app, so you can keep on top of paperwork wherever you are. In this new age of technology, you don’t have to feel you are settling for second best services because it is so easy to access new partners, especially with the help of VQuarter. If you link up your current services with VQuarter it is less likely your current service partners will cancel arrangements, or not fulfil their obligations on the job, because they automatically become more aware that you can find another service partners within seconds. If you work with substandard service partners, you are only doing yourself and your holiday home a disservice. So it’s important to acknowledge that when you are being let down, it may be in your best interests to think about switching service partners in which case we have a number of service partners you can find with full ratings on our app. Striving to deliver optimum results, VQuarter are a transparent and informative platform. All the ratings on the app are given by holiday home owners and existing customers who are using our app, so you can rest assured that the ratings you see are based on experiences homeowners have had with the service partners featured. VQuarter offers bespoke services, whether you want weekly cleaning services, biweekly gardening services, monthly laundry services or a one-off emergency call out to fix your electrics. You can have it all with just one app.